Work in partnership alongside clients with veracity and competence. Require that all their staff conduct their work in a professional, diligent and expedient manner. Provide appropriate on-going training for their staff to ensure work practices of the organisation remain contemporary. Remain current with relevant technologies, information and practices that will advance our systems and services. Ensure advertisement is conducted with integrity, being succinct and not misleading. Provide clients with an honest and accurate evaluation of their HVAC system and/or sites for mould remediation before & after inspection. Provide clients with quotations detailing the necessary and required services. 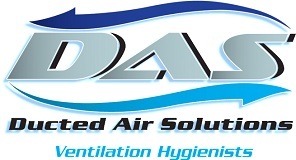 Use environmentally sustainable products in the hygiene restoration process of HVAC systems and mould remediation. Engage other services when work to be performed is beyond the scope of DAS. Inform existing and potential customers of the risks surrounding contaminated duct systems. Expand on this Code by working to the NADCA (USA) Code of Ethics, AIRAH Guidelines and AS/NZL standards.